Snow, Ice, and winter driving; all part and parcel to Canadian life. For most Canadians, when the winter weather really gets severe, they avoid unnecessary travel in order to evade potential traffic disasters. However, not all of us have the choice to stay off the roads. When driving is your job, you may not be able to avoid being out on those icy, snow-covered roads and highways. Even the most experienced driver has met their match at one time or another on an ice-slicked or snow covered winter road. Winter roads are dangerous because tires – even snow tires – do not gain traction as easily on icy surfaces, which may result in slipping, sliding, skidding, reduced stopping capability, and loss of control. To further make things dangerous, winter drivers must also contend with black ice – a phenomenon that sees a thin layer of ice develop on road ways that is virtually undetectable to drivers. Many don’t realize that they’ve come across black ice until their vehicle is fishtailing out from under them. What makes black ice even trickier is the fact that, because the ground warms at a slower rate than the air, black ice can be present even when the temperature outside is above freezing. If your company employs drivers, has a vehicle fleet, or is otherwise dependent on driving, then simply staying off the roads during bad weather may not be an option that is feasible to your business’s operations. More important than your bottom line might be the fact that people rely on your essential services, or people count on you for something that is required for them to be able to deliver an essential service. When winter driving is a reality for your company, consider the following tips to ensure the safety of your fleet and drivers. Install four matching winter tires. Get a winter tune up. Ensure all fleet vehicles are equipped with winter survival packs. Check the weather ahead of time – no surprises. Allow drivers extra time, and be more lenient with delivery deadlines. Ensure that a charged cell phone is provided. Consider implementing policies that makes safe winter driving practices mandatory. Complete a vehicle inspection to confirm winter preparedness before each shift. Drop speed to match conditions. Maintain appropriate and safe vehicle following distances. Don’t try to overcorrect skids. No cruise control during inclement weather. Conduct annual review of emergency reporting procedures prior to each winter season. Consider having professional driver training completed where appropriate or required. Outside of essential services and companies that support them, employers need to use reasonable precaution when determining whether or not workers or drivers need to be out on the roads during especially harsh weather events. If you work in an office setting or elsewhere where remote work is possible, consider allowing employees to work from home during bad weather. You may also consider implementing a later start time on particularly bad mornings, to allow time for snow removal teams to clear roads before employees attempt to make the drive to work. If roads are closed, under no circumstances should an employee ever attempt to drive on them. Our provincial and federal police close these roads with very good reason, primarily with safety of travellers in mind. There is never a delivery, meeting, or service deadline so important that a worker needs to risk traversing a closed highway. In most instances, if public transit isn’t running, or roads are closed, you may wish to review your own driving operations during that period to see if it is essential that you remain on the roads. This winter, remember that snow and ice-covered roadways and vehicles are a way of Canadian life, and we must remain cognizant of the danger that these conditions create on our roads. However, preparedness and planning for inevitable long and cold Canadian winters can take much of the cold sting out of long, cold wintertime drives. Pursuant to recent amendments to the OHSA under Bill 132, an employer’s right to provide “reasonable” performance management and direction to a worker “will not be considered workplace harassment”. The OHSA does not define “reasonable” performance management, nor does it set out any test to establish the “reasonableness” of an employer’s actions. Complicating matters further, the Ministry of Labour’s recently released Code of Practice to Address Workplace Harassment under Ontario’s Occupational Health and Safety Act (“Code of Practice”) does not provide additional guidance with respect to defining “reasonableness”. As a result, the task of determining the boundaries of the term “reasonableness” has been left to the Ministry of Labour’s inspectors, and they are empowered to exercise such discretion on a case-by-case basis. This new legislation is likely to cause for more frequent, detailed scrutiny of an employer’s performance management actions, and a potential increase in complaints of “performance management harassment”. Mandatory Investigations – Due to the fact that the legislature has recognized that “unreasonable performance management” is a form of harassment, and that all complaints of harassment must be investigated under Bill 132, management must investigate all complaints of unreasonable performance management under the employer’s workplace harassment policy. Depending upon the circumstances of the case (i.e. if there is a chance of litigation, the case involves a high-level executive, etc. ), the employer may be required to seek an external investigator. Know that Existing Legal Tests are Still Relevant – Because “reasonable” has not been defined under the OHSA, the common law test for establishing the “reasonableness” of performance management action is still a relevant consideration. Courts recognize that employers must be able to discuss work performance in an open and candid fashion, so long as the discussion is based on bona fide grounds, or is proffered in good faith. For a Court to tolerate an employee’s lawsuit on these grounds, it must agree that a “reasonable person” would not be able to continue his or her job based upon a single incident or a series of critical evaluations. It is possible that the Ministry of Labour will adopt a similar line of reasoning to that of the Courts in enforcing the OHSA. Ensuring that all performance appraisals are founded in good faith is a fundamental step that employers should take to minimize exposure to legal claims and boost employee morale. Use a Performance Management System – Implementing and consistently relying upon an established performance management system will best equip an employer to ensure that employees are receiving consistent and constructive feedback from their managers, that is (to the extent possible) based on objective metrics. An employer’s system can be developed “in house” or in conjunction with a performance management consulting service, and should reflect the employer’s core values and required competencies, among other things. Document everything – Some employees will take issue with even bona fide or legitimate performance related criticism. Such employees may attempt to file a false claim with the MOL, alleging performance management harassment. The best strategy for dealing with this issue is the same as that which applies to the malingering employee: documentation that is dated and created at or around the same time as the performance review, by first hand witnesses, will best equip an employer to safeguard itself against frivolous claims of “performance management harassment”. Employers should train their reviewing manager/supervisors on how to draft their notes and performance management-related documentation so that it can survive third party scrutiny and minimize legal exposure. Second-level Review – Where possible, it may be prudent to have a second-level review of performance appraisals, either by Human Resources or second-tier management. This will serve as a check and balance and will alert the employer to any cases where a manager’s objective review of an employee may have been compromised. Continuous Performance Management – Another thing to keep in mind is that an employee can make an allegation of unjust performance management at any point in the employment relationship. Employers are best advised to think of performance management or performance appraisal as an ongoing “workplace conversation”, as opposed to an annual event. Train staff on giving and receiving feedback – This applies equally to managerial and other employees. Staff should be specially trained on how to provide and receive negative feedback. Staff should be advised that they will receive constructive feedback about performance on an ongoing, rather than an episodic or sporadic basis. Avoid Conflicts – It is imperative that employers train staff to avoid conflicts of interest in workplace reporting structures altogether. Additionally, all managerial or supervisory staff should be trained on recognizing conflicts of interest and on the appropriate steps to take to ensure that conflicts of interest are avoided in the course of delivering performance appraisals. An employee who points to a reviewing manager’s conflict of interest may completely undermine the credibility of the manager, which could limit an employer’s ability to respond to a claim of performance management harassment. Encourage Employee Participation – Employers are best advised to create an environment where together the manager and employee can question, challenge and discuss goals and objectives to obtain clarity. This will result in fewer complaints about performance management actions, and boost employee morale. Understand Legal Pitfalls – Employers should train all managerial staff on the nuances and pitfalls associated with performance management, such as penalizing employees for taking job-protected leaves, engaging in reprisal, or threat of reprisal, or allowing bias to infect performance appraisals. Are you using the correct lanyard in a mobile elevated work platform? Specific changes to O.Reg 213/91 – Construction Projects came into force on January 1st 2016, providing additional guidance as to how an operator of an elevated work platform is to be protected. Some of you know how much fun legislation is, and that sometimes it’s not that easy trying to interpret! Believe it or not, changes in the law require some clarification. I know…say it isn’t so! Previously section 148. stated that an elevating work platform shall not be used unless all workers on it are protected against falling by a safety belt attached to the platform. This is old language; safety belts are rarely used, and there isn’t a distinction made between different devices, and so many other questions that could be asked! (d) shall not be moved unless all workers on it are protected from ejection by being attached to an adequate fixed support on the elevating work platform by a method of fall protection. O. Reg. 345/15, s .18. Clear as mud isn’t it? Clause 148. (1)(d) refers to a scissor lift, and making sure that the operator (worker) cannot be ejected while the platform is in motion. Section148. (3) refers to a platform that has a straight or articulating boom. This begs two questions; what type of lanyard or device prevents the worker from being ejected, and does the worker need to be tied-off when the platform isn’t in motion? In discussion with the Ministry of Labour, here is their official position for enforcement of fall protection on an elevated work platform. Preventing ejection is a major concern. When using a scissor lift, a method of travel restraint must be used to prevent ejection when the equipment is in motion. It is not required when stationary as long as the worker is protected by guardrails. So in other words, no need to tie-off in a scissor lift when it is stationary. If an inspector questions the method of travel restraint being used by the worker, the employer can provide manufacturers specs for the product with the travel restraint claim as proof. So don’t throw away owner’s manuals. When using a boom type elevating work platform that is self-propelled or mounted on a vehicle, the worker must be protected from ejection and remain tied-off at all times. So here we see different requirements for different devices. Many workers use 6-foot energy absorbing lanyards in either piece of equipment, as we can see, the official MOL stance states that this is not an acceptable practice. In order for these changes to make sense, it’s important to remember that the anchor points in most elevated work platforms are designed for travel restraint, not arrest, so why use an energy absorbing lanyard? With the holidays fast approaching, companies are holding their annual holiday parties. Not only is providing food and drinks a great way to boost company morale, but it also gives a chance for co-workers to mingle and socialize with each other on a more casual basis and it can be a time to celebrate company successes. Although this is a time to be merry, employers can be held liable for any injuries or damages caused to the employee who consumes alcohol, drives, and injuries themself or other people. Recently in London during the month of November, 11 drunk drivers were charged with impaired driving over a short span of four days. According to Stats Canada, in 2010, approximately 1,200 impaired driving-related incidents were recorded in Canada over each weekend leading up to Christmas and New Year’s Day. Half of the recorded impaired driving incidents were between 11pm to 4am, with a spike between the hours of 2am and 3am. With this in mind, employers who are hosting their holiday party will need to protect their guests and follow best practices. The best possible way to avoid any risks of liability is to host an alcohol-free party. Promote and instil responsible drinking measures and company expectations. Have a plan for handling intoxicated staff members. Allow for employees to bring a plus one. Hire / ensure the venue has Smart Serve certified bartenders. Provide non-alcoholic beverages as well. Provide drink tickets rather than open bar. Ensure food is served when alcohol is available. Provide taxi vouchers or reimburse employees. Stop servicing alcohol at a certain time, an hour or so before the party ends. Post signs around the venue with the number of several taxi and drive-home services. Following these precautions won’t squash your party vibe, but it will ensure the safety of your employees while they cut loose on the dance floor and eat, drink, and be merry. At OSG, all of our staff are Health and Safety Leaders. This month, we are featuring two outstanding leaders: Tara Hughes and Kevin Gates. 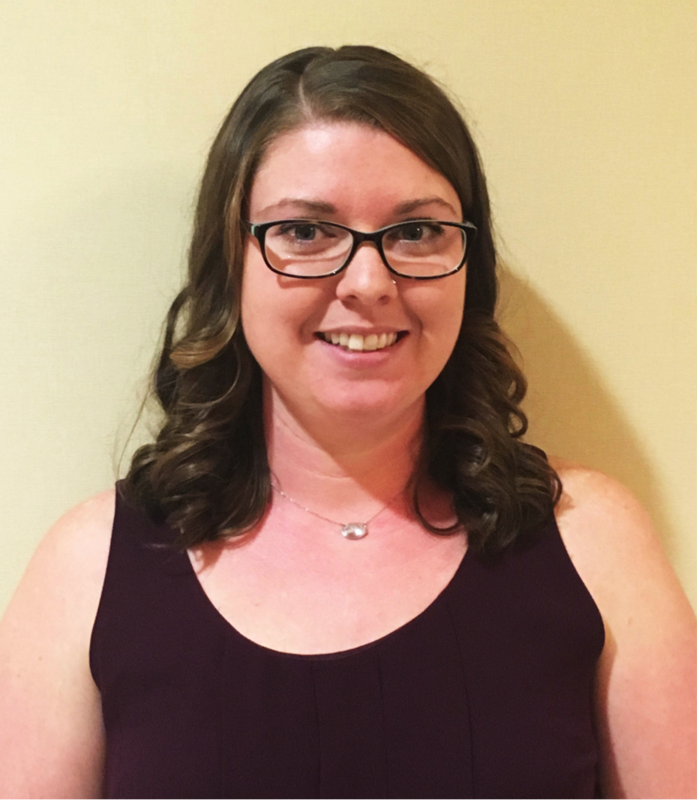 Tara has been working for OSG for 3 years in the operations department. She was hired to cover a maternity leave, and quickly made herself indispensable to the organization. She is now the permanent Scheduling and Shipping Coordinator. Tara is the driving force behind making sure our trainers have what they need for success in the field – everything from training materials, a place to train, and even a bed to sleep in when they’re on the road – Tara handles it all. Outside of OSG, Tara is usually found completing DIY projects around her house and spending time with her husband and her fur baby: a 9-year old cocker spaniel named Charlie. 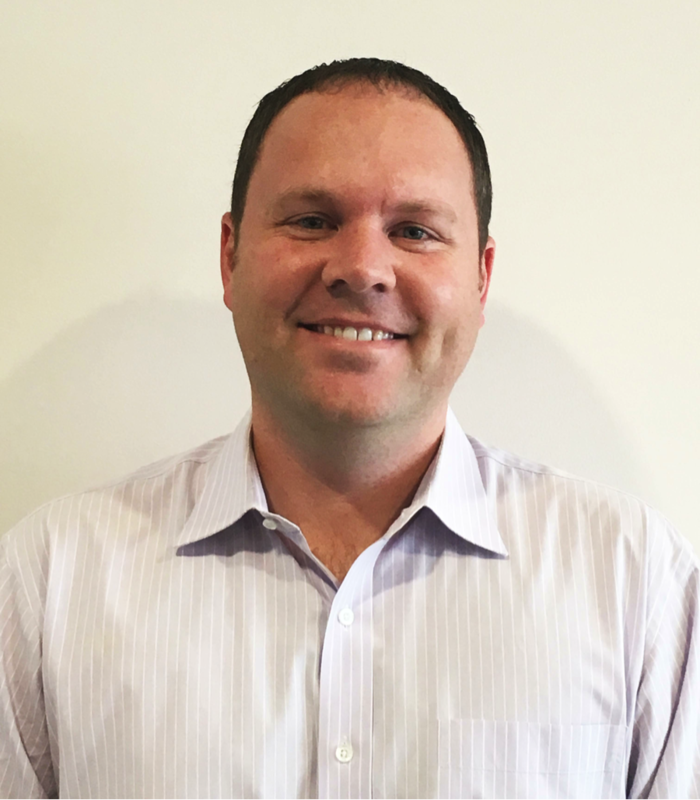 Kevin is one of OSG’s Client Relationship Managers, whose professional goal is to ensure that all clients, regardless of their company’s size, receive the information and safety training they need in a timely and cost-effective manner. He has been working for OSG for fifteen years in the customer relationship department, and continues strive to deliver top-notch customer service. Kevin is known around the OSG office for his constant smile and his calm demeanor in any situation. Outside of OSG, Kevin enjoys playing golf, curling, and baseball. He is a hockey fan as well. Many people don’t know that Kevin grew up on a farm. Kevin’s favourite treat is cookies. Next time you are in OSG’s London office, say hello to Tara and Kevin. They are OSG Safety Leaders who embody safety culture in the workplace. Lockout Tagout Training: Failure to control the release of hazardous energy while servicing and maintaining equipment has the potential to cause severe workplace injuries. Manual Material Handling Training: Hazards involving material handling can lead to serious worker injuries and even death. Workers are at risk of injuries resulting from being struck by, caught between, or crushed by materials. OSG prides itself on celebrating clients who embody the spirit of what it means to be a Health and Safety Champion. We celebrate our Health and Safety Champions in our monthly Be Safe Newsletter, and we feature them on our website. Company Name: Alltrade Industrial Contractors Inc.
Alltrade Industrial Contractors Inc. is an industry leading multi-trade construction company. They deal primarily in contract construction work. Their Health & Safety-Compliance and Training Manager Karl Ritzmann has described his biggest health and safety challenge as getting unionized employees properly trained and then maintaining their training records. OSG’s Train-the-Trainer programs have allowed Karl to train workplace trainers so that he can offer more training sessions at his workplace, on his schedule, and with the convenience of his workers in mind. Alltrade Industrial Contractors Inc. is this month’s health and safety champion because they are using the training they received from OSG to reach more workers throughout the company, and ensure that they are in compliance with applicable legislation. Mr. Ritzmann states that, in addition to enhancing his health and safety program, he also appreciates “all of the help and service from his dedicated client relationship manager and the OSG training staff”. Since their Train-the-Trainer sessions, Alltrade Industrial Contractors Inc. has been able to increase safety culture in the workplace by ensuring that all workers across the company are trained, compliant, and putting what they’ve learned into practice on the job site. In addition, since Karl’s workplace trainers can deliver effective health and training session, he can put his focus on maintaining accurate training records and effectively managing his company’s health and safety program. For more information on Alltrade Industrial Contractors Inc., please visit them on the web at www.alltradeindustrial.com. 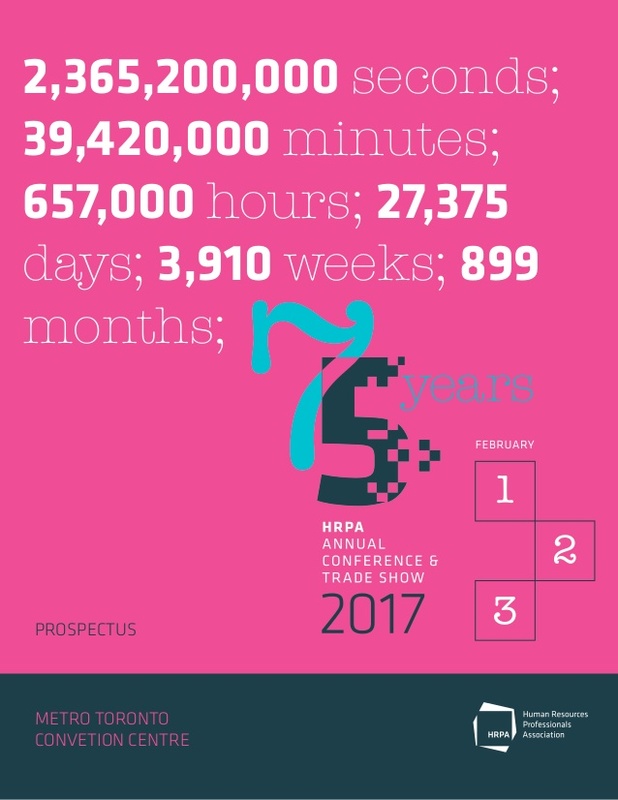 The Human Recourses Professionals Association (HRPA) is holding is celebrating its 75th year at the 2017 conference and tradeshow. We are proud to announce that we will be an exhibitor at the tradeshow. If you would like to attend the event, get your complementary pass today!